Views! Views! Views! This Crystal Dunes Penthouse offers a close encounter with nature in all its beauty and diversity. 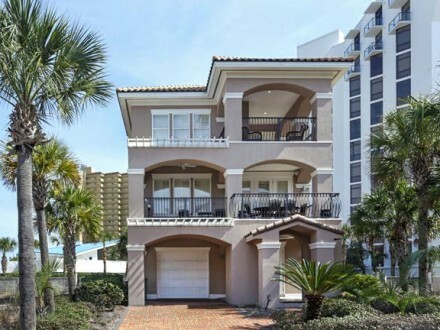 Step into a tropical paradise when entering this 2 story, 5th and 6th floor 2,900 square foot Destin luxury vacation rental. 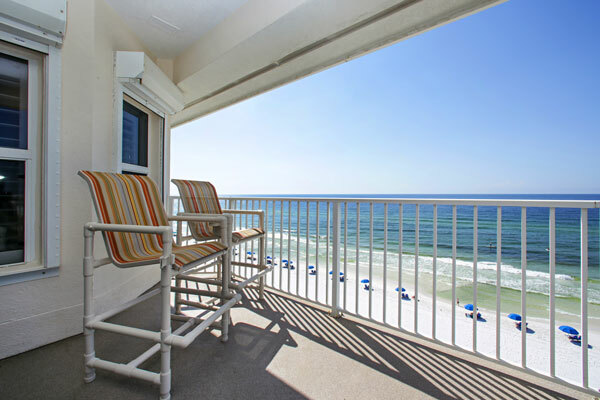 You’ll admire nature’s handiwork while experiencing the amazing views of the Emerald Coast. 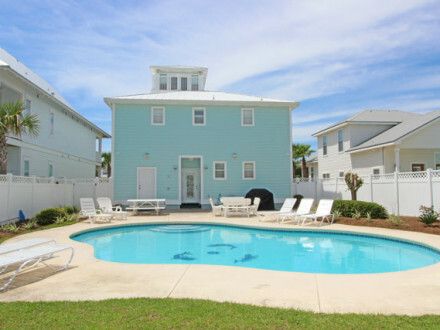 Either refresh yourself with the soothing breezes from your two decks overlooking the Gulf of Mexico in Crystal Beach or take a quick dip in the community swimming pool or hot tub. 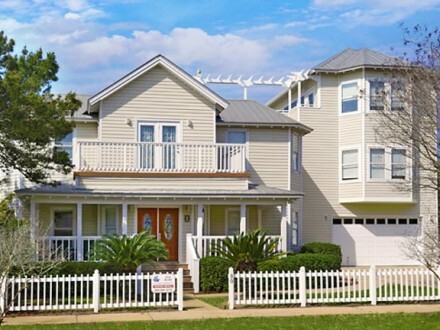 Your own luxurious beachfront retreat awaits you! 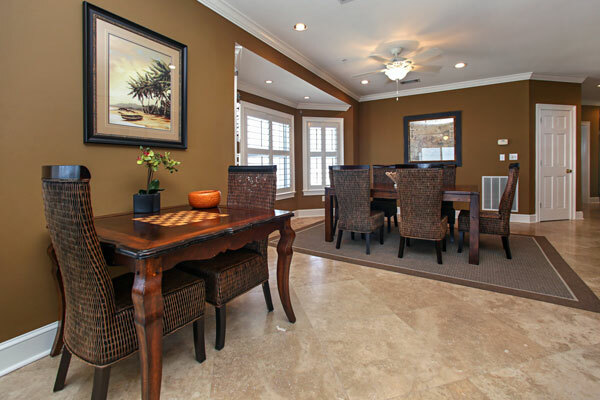 This newly decorated 4 bedroom, 4 bath, upscale, low-rise Destin Florida beach condo for rent is located in a 34 unit complex that is directly on The Gulf of Mexico with private beach. The spacious living area with checker game table and sleeper sofa will give you plenty of space to enjoy your family. The sizable dining table and breakfast bar will allow everyone to dine together. 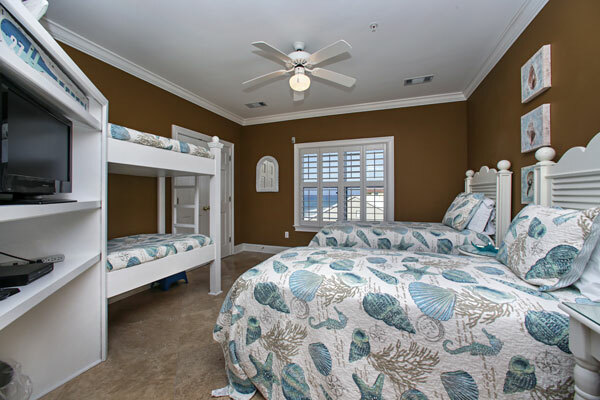 You can unwind in the 3 king bedrooms and let the kids play in the 4th bedroom with two twin beds and one twin bunk bed. 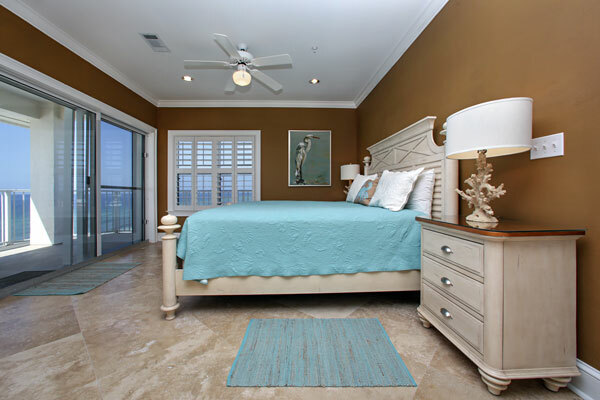 Every bedroom features a flat screen TV with a 55″ flat screen in the living area. The master suite has a Jacuzzi tub for the ultimate relaxing getaway. For you early birds, bask in the view of the breathtaking sunrises or take in the beauty of the sugar white beaches and emerald green waters, and watch the dolphins at play. 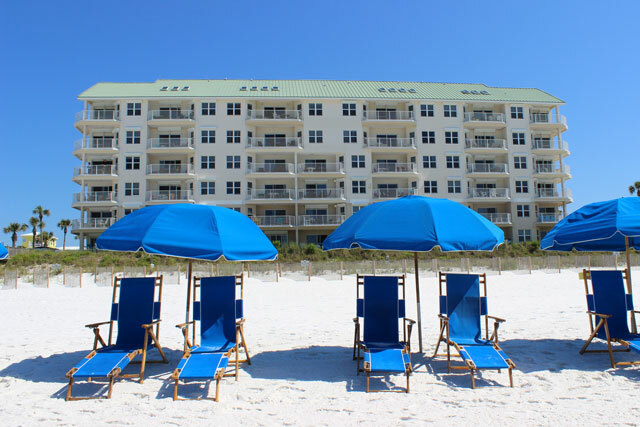 During the day enjoy the complimentary beach setup with 2 chairs and umbrella during season. 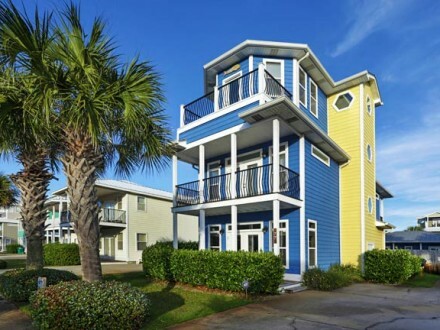 After a full day on our sandy white sugar beaches and the emerald green waters of Destin, the perfect way for the old and the reckless and the young and the restless to spend an evening in paradise is to watch the sunset on your spacious decks overlooking The Gulf of Mexico. 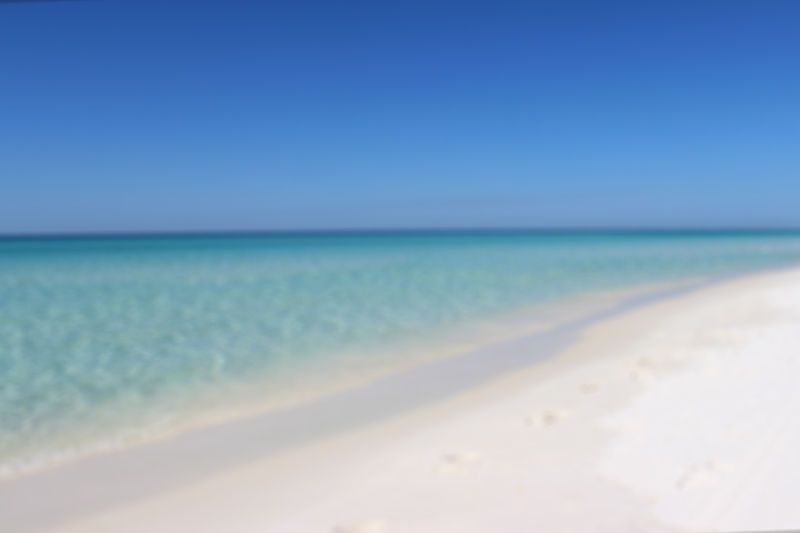 Afterwards take a short drive to Destin Commons or to one of the top rated outlet malls in American, Silver Sands Outlet, for shopping, entertainment or dinner. 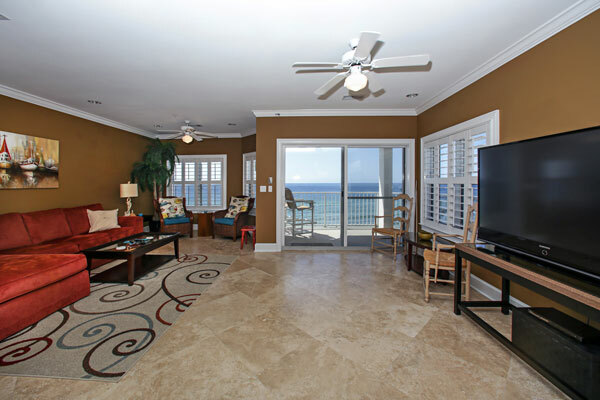 This Destin Florida beach penthouse is a premier condo for rent for the discerning vacationer that wants it all! Golfing is close by for those who want to play when on vacation. 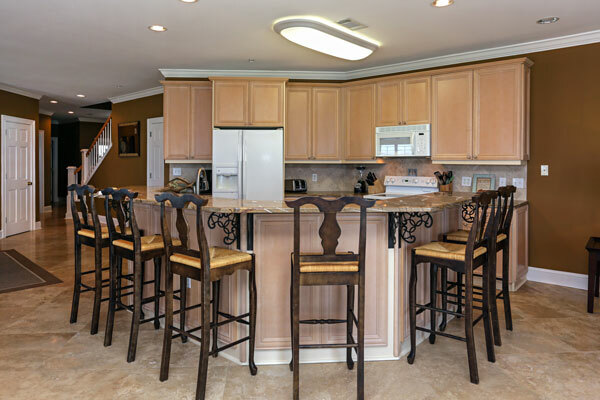 This unbelievable luxury Crystal Beach Florida condo rental was thoughtfully designed and fully-equipped for you to experience indulgence. 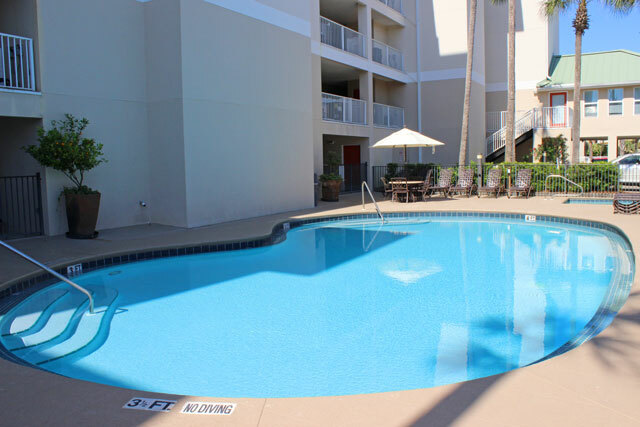 Crystal Sands 506 will provide you memories to last a lifetime!